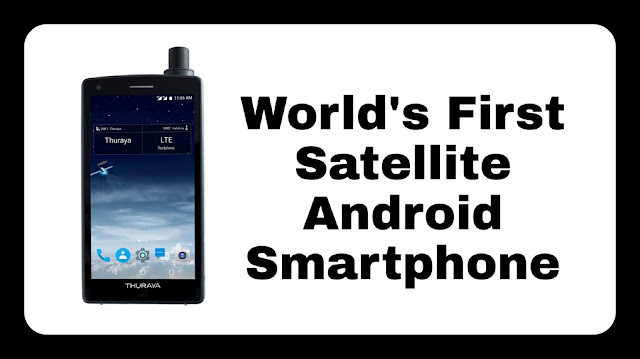 Thuraya is a satellite communication company in UAE which has launched the world's first satellite android smartphone named 'Thuraya X5 Touch'. Dual Active (dual sim-card) mode with GSM and satellite always on. 5.2 inch Full HD with an IP67 dust and water resistance. Powered by Snapdragon 625 chip-set. 2GB RAM, 16GB internal storage and expandable up to 32GB. 8MP rear camera and 2MP selfie camera. Runs on Android Nougat and has a battery capacity of 3,800 mAh. It will be available in 160 countries at price Rs. 96,500 (approx).